Washington is a state in the Pacific Northwest region of the United States of America. The state is named after George Washington, the first President of the United States. It is the only U.S. state named after a U.S. citizen. Washington was carved out of the western part of Washington Territory and admitted to the Union as the 42nd state in 1889. In 2006, the Census Bureau estimated the state's population at 6,395,798. 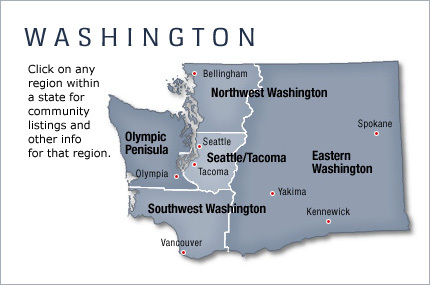 Residents are called "Washingtonians" (emphasis on the third syllable, pronounced as tone). Washington is sometimes called Washington state to distinguish it from Washington, D.C., the US capital.